This year, at Babes Ride Out 5, we bring you the best dance party the desert has to offer featuring 2 of our favorite DJ's to keep the party going all night! Get to know these talented babes DJ La Flaca Lee and DJ Ry Toast! Ry Toast is an LA based DJ. Growing up in Jersey in the 90s, her style is strongly rooted in New York hip hop, but her sound has no boundaries. She lives for “feel good” music. 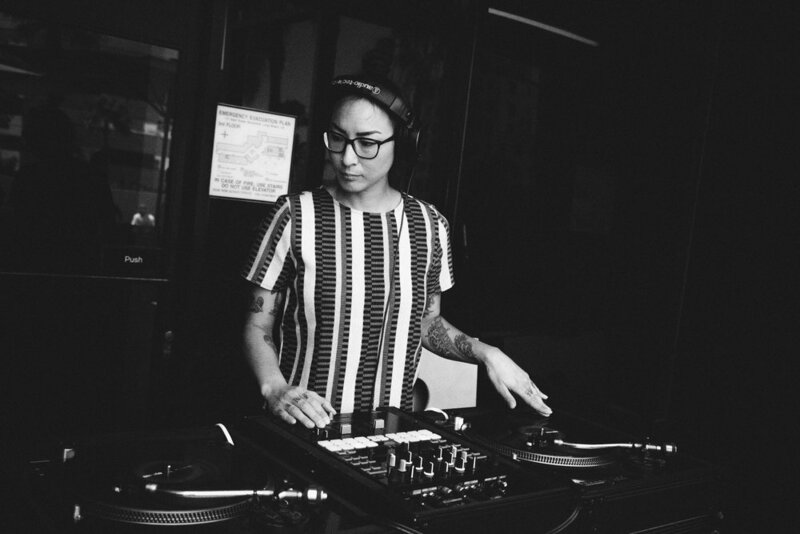 She loves digging for funk, soul, and R&B, as well as more modern sounds like nudisco, bass, and moombahton. Even in the grittiest of hip hop sets, Ry Toast has a way of infusing a certain kind of soulfulness that elevates the vibe of any venue she visits. Ry has played with hip hop heavy hitters DMX, Nas, Wu Tang Clan, and Masta Ace. She has rocked stages with DJ legends Shortkut, Neil Armstrong andZ Trip. 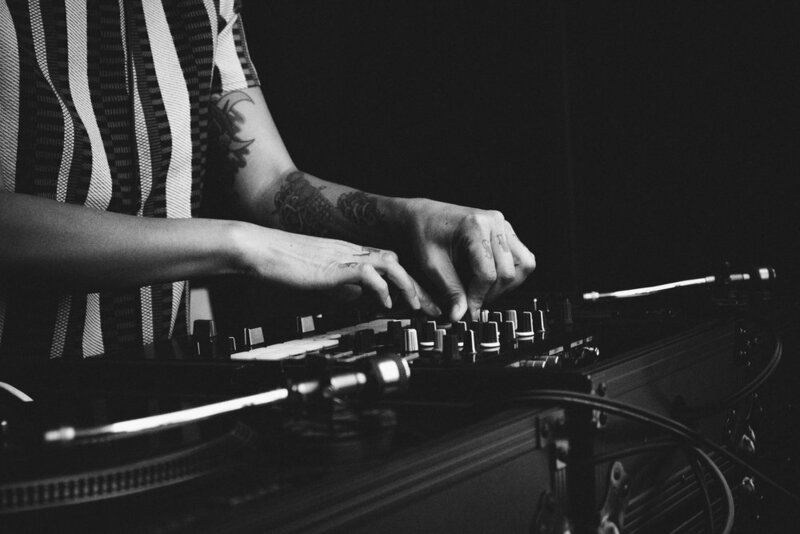 She studies turntablism under the World Famous Beat Junkies Crew. She performed with MTV personality Ed Lover. She has worked with top brands like Nike, Adidas, Puma, and Lulu Lemon. She played New LA’s biggest New Years Eve party at Grand Park for over 50,000 people. She is also 1/3 of LA hip hop group, Tyrone’s Jacket (the trio is about to embark on their first national tour,) and she owns a one-of-a-kind vintage DJ Truck, Sweetbeats LA. Born in Boyle Heights, Los Angeles, Stella aka. La Flaca Lee grew up playing classical piano from the age of 5 until she was 16 years old. In the 4th grade, she played a short stint as 2nd chair violin. Being a creatively self-expressed young girl she also spent all of her youth learning tap dance, ballet, and jazz. Her biggest creative influences were reggae, hip-hop, and r&b music from the age of 6 and having been a latchkey kid there was complete freedom in her exploration of those musical genres. As a teenager, she naturally got into hip-hop dance and right after graduating high school she studied fashion and footwear design where she began her career in footwear and accessories design. 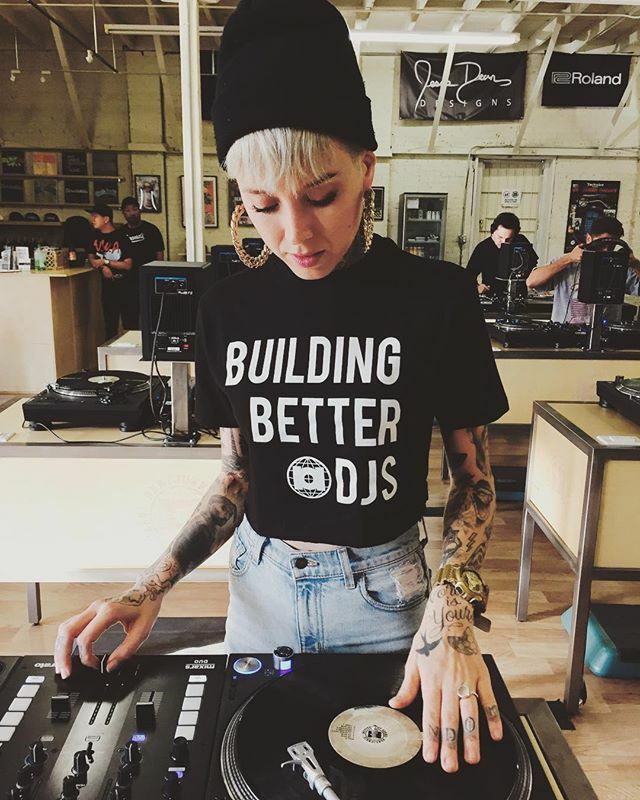 Fast forward to 2011, La Flaca Lee got into DJing when she and two of her DJ friends (DJ eLove and Madlamb) were throwing massive backyard parties at her old apartment in Long Beach, CA. All three of them officially decided to begin throwing events at an established venue called Que Sera, thus creating what's still known today as "Bump N' Grind Dance Party". La Flaca Lee can be found djing in the nightlife scene all over southern California and has over 6 years experience as a performing dj. She is the founder of Bump N' Grind Dance Party in Long Beach, CA.